Get the Oregon demographic data that you need. You can get the most current Oregon data from the US Census Bureau without spending 8 to 10 high-value hours searching the internet. The Oregon population is 4,025,127 people according to the US Census Bureau's 2017 American Community Survey. The Oregon median household income in the past 12 months is $56,119 in 2017 inflation-adjusted dollars according to the US Census Bureau's 2017 American Community Survey. Oregon has 1,733,041 housing units according to the US Census Bureau's 2017 American Community Survey. Skip Hours of Internet Research. Get Radius Reports for 3 rings around any location in Oregon for just $49. Time Savings — Our customers tell us these reports save 10+ hours of internet research, data pulling & formatting. To learn more, click on the letter that the name of your city or county begins with. How Current are the Data? The Oregon demographics on this site are the most current data available from the US Census Bureau. Currently, most data points are from 2017 datasets – specifically the 2017 American Community Survey (ACS) 5 year dataset. We use the Census’ ACS 5 year dataset for 3 reasons. It typically has the smallest margins of error of the Census’ ACS datasets. It allows for apples to apples comparisons of large geographies to small geographies (i.e. state data to city data). We’re constantly updating the Radius Reports and this site with the most current data throughout the year. Got questions about these Oregon demographics? Call us at 1-800-939-2130. Oregon-Demographics.com is made by Cubit – a demographic data provider. Call us at 1-800-939-2130 or email us. 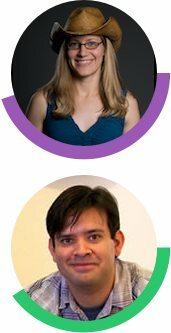 Cubit's co-founders have been working with data for a combined 25 years. 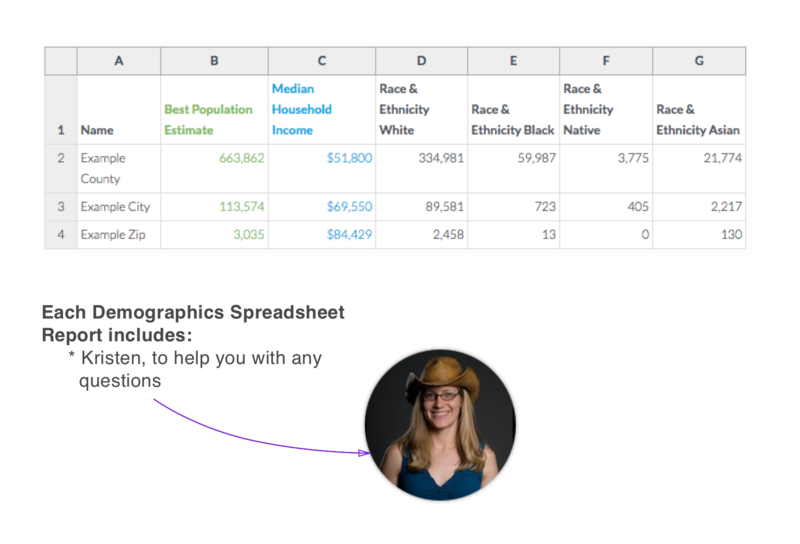 Get the most important demographics for all cities, all counties or all zips in Oregon in an easy-to-use spreadsheet. Customized report about the people surrounding your business in 24 hours. Perfect for your business plan.